T17T438-SS is rated 4.0 out of 5 by 7. Rated 5 out of 5 by Paul from Very nice set Packaging was nicely arranged. Installation instructions were clear and easy to follow. Only negative is that I'd have expected the downspout to be metal at this price point, and it was plastic. Rated 5 out of 5 by erielady from Perfect for my rustic cabin My old house in the mountains got a nice makeover, keeping the knotty pine cabin feel, but with a nice, hot, well functioning shower! This product has been perfect: it works well, feels sturdy, and looks just right. The "TempAssure" is important as this is in a MIL apt. so we don't know when others will be requiring hot water. So far no one has reported drastic changes. MOSTLY, I love how it looks and believe it will last a long time. Rated 3 out of 5 by pavel168 from Stain easily Initial experience was very positive (after some tweaking by the plumber though, initially the water going to the spout and shower was not the same temperature, one outlet was getting comfortable temp, the other one, surprisingly, too hot). Once all the glitches were sorted out, everything looked rosy... That is, until the first shower. 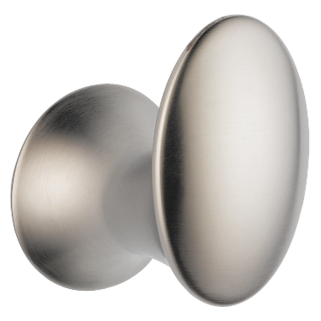 After that, alas, there were dark water stains all over, despite the fact that satin nickel or stainless steel finishes are supposed to be better as far as stains are concerned. And yes, we do have soft water. Based on that, we decided to return the system we ordered for the other bathroom (Tesla), for it was suffering from the same problem. Other than those unsightly stains, the system works and serves its purpose: you set the temperature once and forget about it. Very convenient for kids. 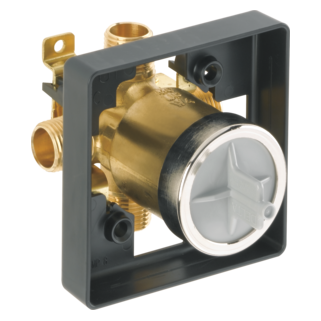 Rated 4 out of 5 by Norm from Nice shower/tub unit Selected this for the thermostatic control and dual controls in the one valve. Construction of the valve unit is very nice and solid, the shower head is plastic and feels 'cheap' compared to it, but if it sprays well, I'll be happy. 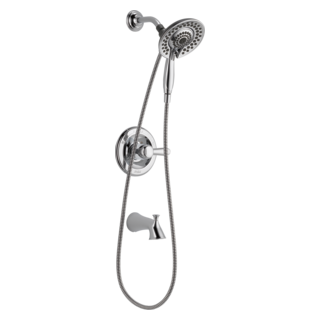 I haven't installed this 100% yet, so I cannot speak of it's performance, but since the base valve components are universal, as long as the shower head puts out a good spray pattern, it should work just fine in our guest bathroom. 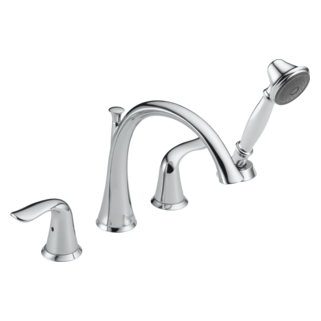 Rated 4 out of 5 by AMDeanRanch from Great faucets but.... Gosh, over spending more than $500.00 on a very similar set, I was absolutely sad to see the decorative plates and finials, the shower head, and lip pieces of the tub faucet were all plastic! I have to say, after 10yrs, it still looks very nice and I love them. KEY THING is to dry it off after use because after 5 or so applications of CLR, I finally got the hard water spots off, but they are coming off. I polished with a drop of olive oil with a soft cloth just to make it shine - perfect! 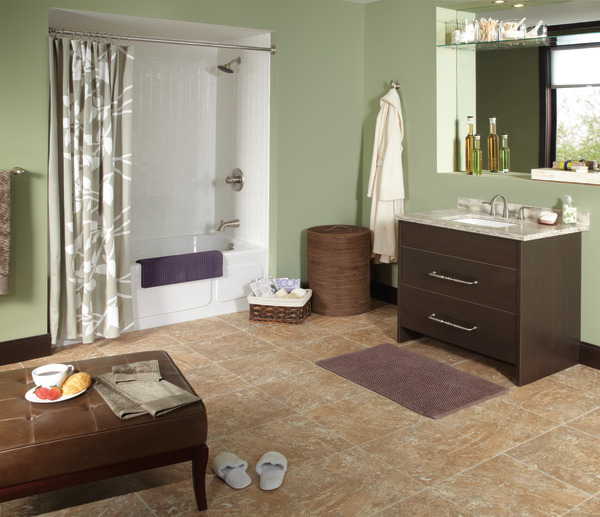 I love the hand held shower head, we have a super large custom tile tub and that really helps not only with a great spa like shower, but cleaning too! We just purchased a chrome finish shower head and hand held additional head for a spare bath ($65) and it too was all plastic - works nice too, but what happened to good old metal? Rated 5 out of 5 by Sharon from Absolutely love this product!! I highly recommend this product!!! Rated 2 out of 5 by JJ12345 from Not all metal I thought this price point would be all metal construction and the tub spout is all plastic. So I am disappointed. Is this true thermostatic control? Is there more than one type of thermostatic cartridge? I like Linden best, but it doesn't look like the TempAssure is available with Linden. Thank you for your question. 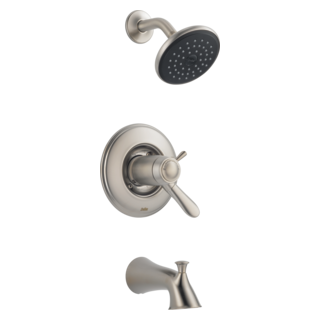 Delta Faucet model # T17T438-CZ has a true thermostatic cartridge. 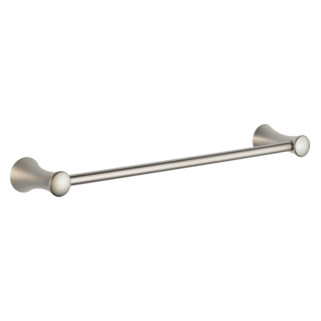 Once you set the temperature, it will not vary within 3 degrees of where you set it. I will pass along your suggestion to manufacture the Linden series with a thermostatic cartridge. Temp adjust not part of flow control ? Will this work with an older 1700 series monitor rough in and valve or do you have to upgrade to the newer rough in valve setup? 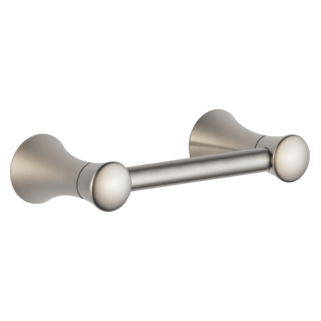 Is the on/off in the shower in the volume handle or in the temperature handle? What materials are used in the construction of the handles and tub faucet? Is the plating over metal or plastic? Hello buyer, Thanks for your question! 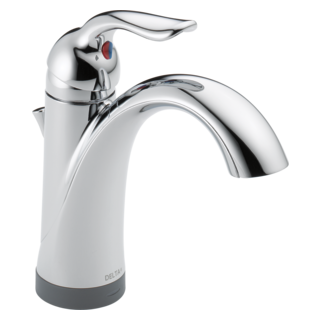 The T17T438 has a metal volume handle, temperature cap, and escutcheon. The tub spout and the shower head are non-metallic. I hope this helps!